Fiat Chrysler Automobiles, boosted by robust gains in North America, on Thursday posted a 61 percent surge in fourth-quarter net income to $1.47 billion along with revenue growth of 6 percent to $34.7 billion. 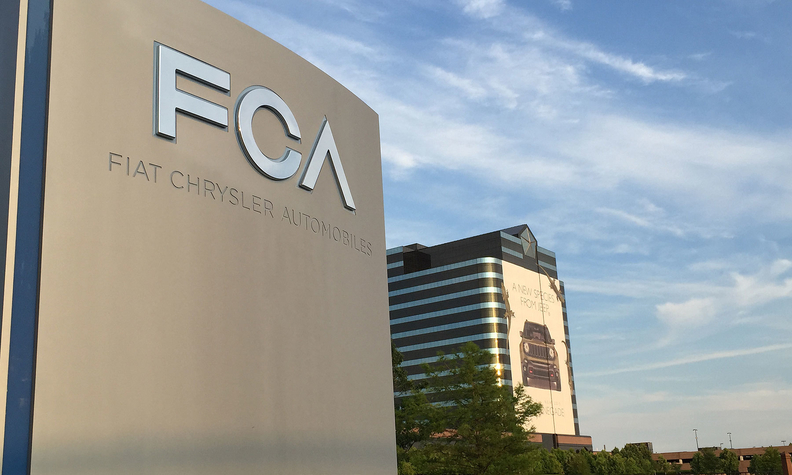 For the full year, FCA's net income rose 3 percent to $4.1 billion. Revenue for the year ramped up 4 percent to $131 billion. FCA's quarterly gain was driven by its North American business, which boosted adjusted earnings almost 25 percent to $1.9 billion. FCA's net pricing and margins rose because of the regional unit's focus on trucks and SUVs. Adjusted margins increased to 8.7 percent from 8.0 percent a year ago. North American revenue surged 15 percent to $22.0 billion. Vehicle sales in the region rose 10 percent to 613,000 units, FCA said, while U.S. retail market share rose to 11.6 percent from 11.1 percent. The quarter topped a full-year of breakthrough gains for FCA in North America, finishing the year with adjusted earnings rising 19 percent to $7.1 billion. Total revenue in the region improved 9.5 percent to $82.2 billion. A $4.9 billion improvement in industrial cash, to $2.2 billion, because of growth in net income and free cash flow. The company's liquidity increased by about $850 million to $24 billion. Because of ongoing debt reduction, financial expenses fell by $330 million. Total tax expenses, mostly due to U.S. tax cuts, fell by $793 million. Europe and Asia remained among FCA's chief concerns during the year, with European unit sales sliding 3.4 percent to 1.32 million vehicles. Adjusted earnings in the region plunged 45 percent to $461 million. Total revenue in Europe showed a 0.5 percent gain to $26 billion. In China and Asia, deliveries dropped 28 percent to 209,000 units. Adjusted earnings plunged to a loss of $336 million from a gain of $195 million. Revenue plunged 17 percent to $3.1 billion. FCA CEO Mike Manley, who took over the company helm last summer, said the automaker entered 2019 with “strong product momentum” thanks to the redesigned Ram 1500 pickup that launched last year and Wrangler, along with the upcoming Ram Heavy Duty line that’s slated to launch this quarter and the 2020 Jeep Gladiator pickup that arrives in the second quarter. “We looked and tried to do as much work as possible to see if we felt that there would be large percentages of substitution between the two vehicles. In our plans, we’re expecting somewhere in the order of 10 to 15 percent,” Manley said. During the call, an analyst asked Manley if FCA will revive the Dakota midsize pickup. Manley responded by saying the Gladiator will go straight into that segment -- noting it's more of a lifestyle pickup. "Where we sit today, the only vehicle missing in our portfolio is a metric-ton pickup, which is a midsize pickup in the U.S. I am working hard with the team to solve that. I haven’t solved that yet. But if that gets solved, it will give us the opportunity to bring a midsize truck in the marketplace." Meanwhile, Manley predicted a tough six months for FCA’s slumping Maserati brand. "Maserati will be down year-over-year in the first half as we apply the same discipline to destock our global dealer network and work to improve the sales performance, which frankly is unacceptable," he said. FCA is counting on Harald Wester to turn Maserati around. He was named the marque’s chief in October. Meanwhile, FCA shares closed down about 12.2 percent to $15.23 in New York because the company issued weaker-than-expected guidance for profits and industrial free cash flow for 2019, raising doubts about the automaker's longer-term financial targets.